Do you use coupons? It seems like there's coupons everywhere nowadays. Online, newspapers, magazines Groupon, DailyDeals, text messages, and so on. I coupon to keep my budget for household items down. I don't usually find too many coupons for the food that I eat. 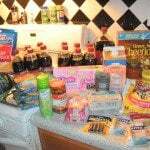 Here's a link to my latest couponing trip where I saved 51%. 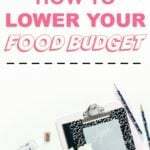 I follow a couple of sites such as Living Well Spending Less for tips. I try not to use coupons on items that I would not normally buy also. I also think that extreme couponing is a little too extreme. No one needs 100 tubes of toothpaste. What's your input on coupons? How far do you go? I generally shop at Trader Joe's so don't use coupons for groceries, but I could get better at using them for household items I suppose. What I use coupons for is clothes shopping! I get emails from every store I like to shop in and generally don't buy anything unless the store is having a big sale on new merchandise, or I have a coupon. They have spoiled me now. Extreme couponing is definitely made for entertainment value, it doesn't seem realistic or sustainable. 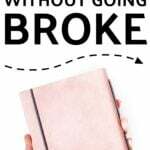 Regular couponing on the other hand is a great way to make more room in your budget without spending too much extra time on it, if you do it right, it pays off! Coupons are far and few between here in Canada, so I don't use them very often. I would love to be able to score some great deals but oh well! Couponing is non existent where I live. If it was available though I would probably only use them if they were available for items I usually buy. I <3 coupons..However, I don't clear the shelves and get supposed peeved when people do..really do you need 50 boxes of pasta? REALLY?! My daughter and I are into couponing. Not the super extreme clear the shelf kind of couponing, but we do stock up when possible. More so on no edible items, because that is what kind of coupons we get. I don't know what I would do without coupons Jane and Rafiki. I hate paying full price or pretty much any money for household items. 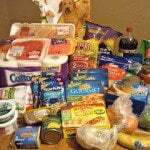 I just started couponing less than a year ago, and I have saved lots of money.